Home / Blog / Team Romania: Take a stand in Pyeongchang 2018 against the dog and cat meat trade! Let's ask Team Romania to take a stand and speak out against this shameful trade. You can help by signing and sharing our petition, sending out letters and emails, and raising awareness of this brutal and barbaric practice and calling for an end to the trade by exposing this issue in social media. 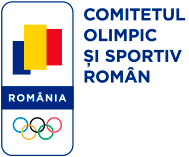 Click HERE for the Team Romania Homepage. the Romanian Olympic and Sports Committee TODAY! Romanian Olympic and Sports Committee: Take a stand in PyeongChang 2018 against the dog and cat meat trade! Torture & Murder is NOT normal/Humane behavior, of “Man’s Best Fruend. Shame on these Butchers & Peasants, who are perverse & Evul. The Animal Kingdom are citizens of this Earth too, giving them the same rights we have to live their lives on this planet, free from torture and murder. The Dog and Cat Meat Trade in South Korea is a crime against the Earth itself and it needs to end – NOW! son animales inteligentes mansos y amigos fieles de los umanos! tienen dignidad! son ingenuos dociles indefensos!!!!! !1 mas sabios que los psihopatas umanos! Round up all the dog farmers, put them on a leash, and dump them in North Korea.